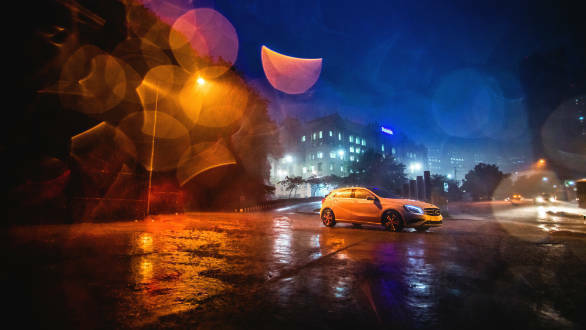 After the nationwide hunt for the best photographers that can Frame the Star, these are some of the most innovative photos of the Mercedes-Benz CLA and A-Class. The contestants have used their photography skills to capture the cars in never before frames. The intelligent use of light, the monsoons and the subjects (the cars) is incredible. Scroll through to view some of the best photos from this year's contest. 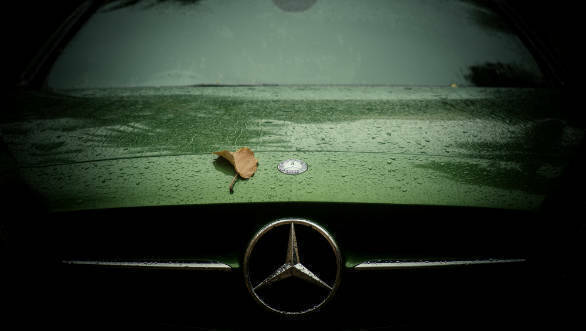 The contrast between the ebalite green of the A-Class and the leaf creates a nice autumn-like vibe. The inclusion of the chrome grille slat and the three-pointed star only makes it look more stunning. The arrival of the monsoons in Delhi helped clear the skies of its usual smog. 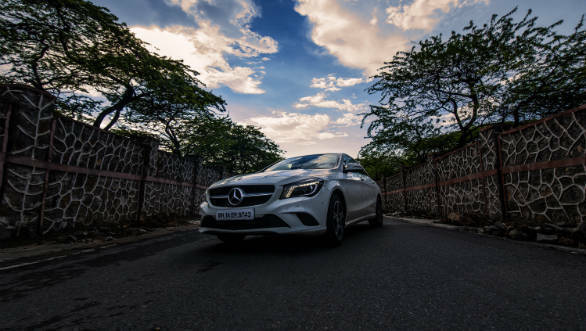 This resulted in a dramatic cloud cover that superbly complements the white CLA. 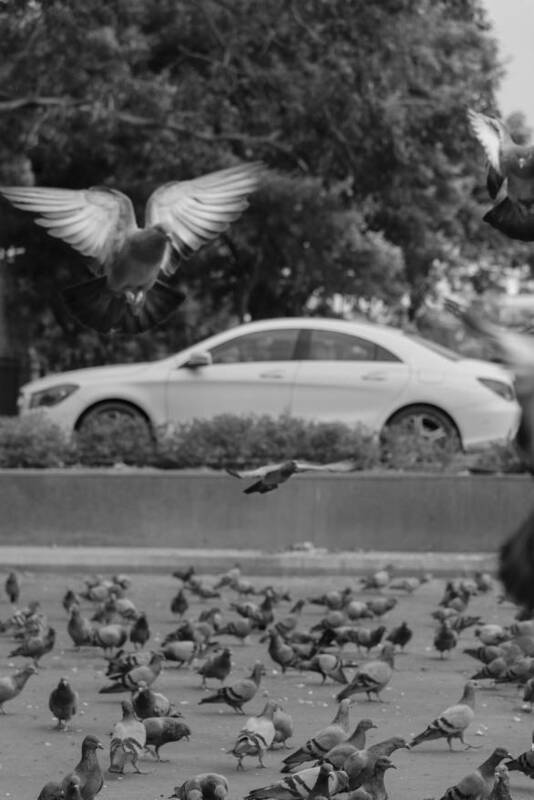 The image is like a comment on the aerodynamic design of the CLA, perfectly complemented by the pigeons taking flight. By using the camera's flash to highlight the bubbles, the photographer has created the illusion of rain. The hands in the background comically appear to be pushing the A-Class forward. 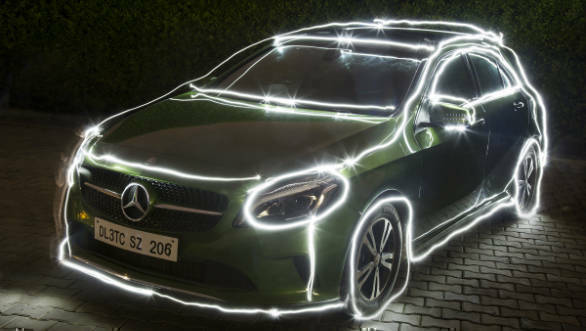 A completely dark environment, some pointed sources of light and the careful use of light painting have allowed Vicky to highlight the contours of the car. This simple yet spectacular frame by Harkiran captures the most prominent colours that one associates with the rains. 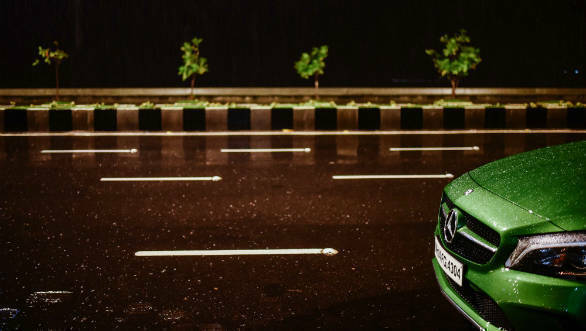 The A-Class, in this stunning shade of green, adds the right amount of colour and visual aesthetic to the picture. Roopam has cleverly used a combination of warm sodium vapour street light, saturated blues of the twilight hour and water droplets on the lens to create drama. This rain-soaked scene is straight out of a movie! 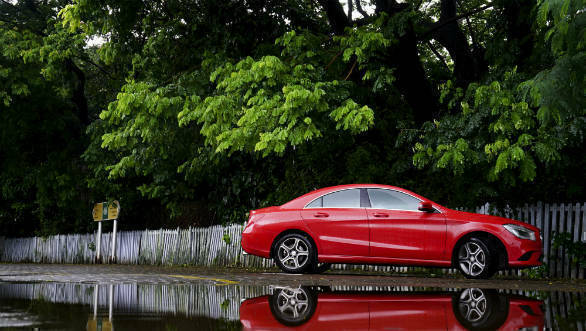 The surreal lines of the CLA in a lovely red stand out brilliantly against the grey and green that you witness on a rainy day. The crystal clear reflection makes the colour even more prominent.